The French queen never actually told anyone to eat cake. It was false propaganda her political opponents spread because they knew it would anger people, and it worked. Oddly enough, there are parallels which can be seen between that and the diesel debate. You can easily find commentary painting diesel in a very bad light indeed. Now, we’re not here to sensationalise but change is certain for diesel. With the future looking murky and uncertain it is hard to know what the next step to take is. The need for some change is apparent but how do you start to prepare before putting all your efforts into the wrong thing? Firstly, you to prepare the workshop with smart equipment. Look for equipment that means you test only what you need without substantial costs to buy every single injector testing application; and without leaving you short of services you can offer your customers. Your vehicle parc is most likely shifting and will continue to change in the coming years so you need a solution that can move with the times. The ‘pay as you go’ approach is a proven working model in many fast paced technologies such as phones and cloud computing. You can also see examples of new vehicle ownership schemes where you only pay for access to a vehicle when you need one and save money by avoiding other costs associated with vehicle ownership. 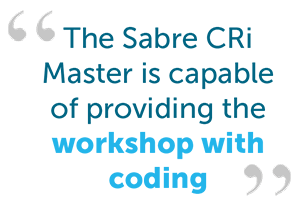 By looking for ‘pay as you go’ enabled equipment you will not be making large financial investments in testing applications that may end up redundant. The next step is to prepare the technician. We looked recently at our poll results’ showing that ‘technician training’ is the biggest challenge for the workshop. It is likely to be harder than ever to tell what the best training you need to send them on is. By sourcing capital equipment now that has intuitive use and training aids built in you are setting the technician up for success. You can retain skilled technicians & their precious technical knowledge within your workshop by having equipment that can cater to them no matter what amount of training they’ve had, and evolve as they evolve. This type of equipment manages to be effective and powerful when in basic modes and have the ability to provide more advanced settings when the technician is ready. It adds quality and extended value to the training you will have invested in for your technician. Most importantly is the need to be ‘upgrade ready’ for a future where you don’t yet know what upgrades you will need exactly. 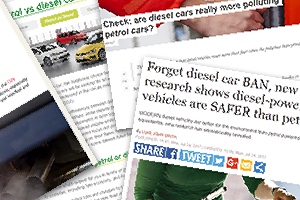 You won’t know which side of the diesel debate your customers are going to settle on. Having a completely capable testing machine now, while not closing off options in the future sounds like an impossible balance to achieve, but it is possible. By investing in limited testing equipment you are already restricting that future. You may need to offer coding, test new applications, or test with different pressures. Not only would it cost more in the long run to purchase more capital equipment but you could jeopardise your customer base along the way that have not been able to get these services from you. We feel that in the current climate that ‘evolving’ is the best choice. Steps which move away from diesel entirely are still 10, 20 years ahead. Normally evolution happens so incredibly slowly it’s not normally visible, however, in these coming years we are going to be watching the diesel workshop change before our very eyes in this new environment. This environment dictates that economy & efficiency for diesel are the top priority. Fuel delivery will come under scrutiny with little tolerance for poorly performing injectors. The Sabre CRi Master ensures that the workshop can begin preparing for different services in the future while guaranteeing high quality injector testing today. It can enable the workshop to be future upgrade ready even if they aren’t sure what testing solutions & services you will exactly need down the line. The Sabre CRi Master is capable of providing the workshop with coding, high pressure upgrades & smarter 'pay as you go' working; keeping the workshop's options open for the future. What is important to remember about the Sabre CRi Master is that it is a new product in the new generation of test benches from Hartridge. It is a child of the current climate. 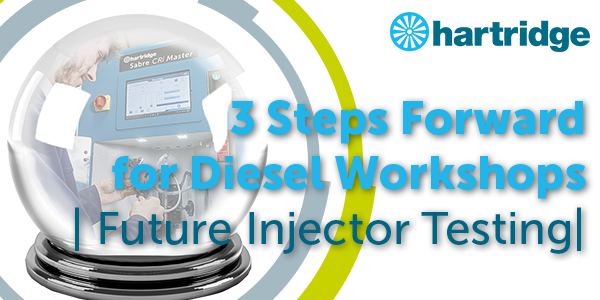 It is born in this diesel evolution, and as such is designed to deliver the tools workshops need to take these smart steps forward.